We’ve long known of the uncanny valley, the idea that people are made more squeamish by things that seem almost human than by things that are less human. It’s nice to see Kaiser Permanente testing this in a hospital context by using a video call to tell an admitted patient he was dying. This is almost as off-putting as a doctor doing this in hurried fashion during rounds, so, obviously, it’s worse. Managers blame the bullied for being bullied, and, while down on bullies, managers are less down on bullies if said bullies cozy up to said managers. Knowing only this, I’ll posit, you could generate investment banks from first principles. 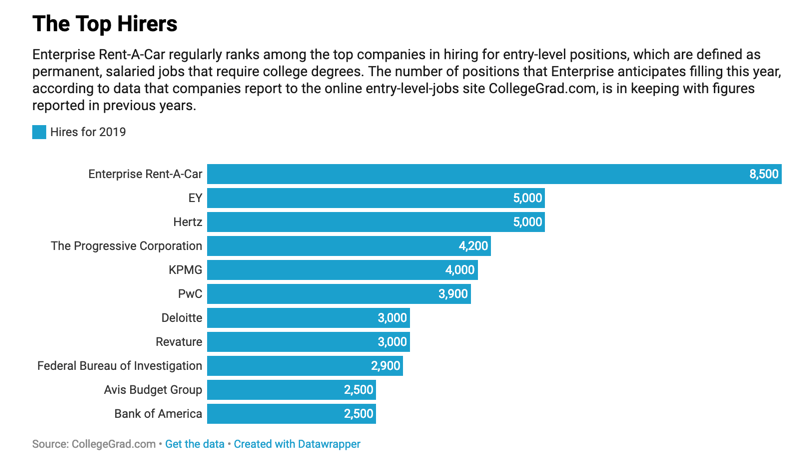 Enterprise Rent-a-Car hires more recent college graduates than any other company in the top ten. But it also begs the credentialing question, why the hell do Enterprise hires need a college degree? Nine major-sport broadcast rights deals are coming up in the next 36 months, far more than usual. Given the streaming companies at the table bidding against traditional networks, expect complete carnage — and expect the winners to have all overpaid, of course. In the struggle to make food delivery robots mainstream, we are learning new things about human psychology, like that that people won’t come to the curb to take food from a robot, because it’s kind of embarrassing, one assumes.